WASHINGTON — As secretary of state, Hillary Clinton basked in a diplomatic “Moscow Spring,” seizing on Vladimir Putin’s break from the presidency to help seal a nuclear arms-control treaty and secure Russia’s acquiescence to a NATO-led military intervention in Libya. But when Putin returned to the top job, things changed. 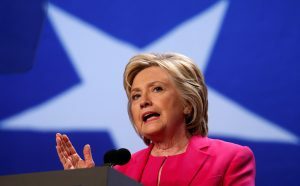 Clinton, the Democratic presidential nominee, has vowed to stand up to Putin if elected, drawing on her four years of ups and downs as the public face of President Barack Obama’s first-term “reset” with Russia. By comparison, her Republican opponent, Donald Trump, has rung alarm bells in Washington and Europe with his overtures to the authoritarian Russian leader. But Clinton’s wrangles with Russia led to mixed results. Her fortunes dipped dramatically after Putin replaced Dmitry Medvedev as president in May 2012. Just weeks later, Russia outmaneuvered her in negotiations over a complicated Syria peace plan, dealing her what was arguably her worst diplomatic defeat. While Clinton hailed it as a triumph, the war only escalated. And while her aides still insist she came out on top, the blueprint effectively gave Syria’s Moscow-backed president, Bashar Assad, a veto over any transition government, hampering all mediation efforts still. Clinton’s history with Russia is significant given the surprising role Russia has played in the U.S. presidential campaign. Clinton and her supporters say she would be far tougher on Moscow than Trump, whose unusual foreign policy statements include musings about NATO’s relevance and suggestions that he could accept Russia’s annexation of Ukraine’s Crimea region. Russia’s reported hacking of Democratic Party email accounts also has led to charges that Putin’s intelligence services are meddling in the election, and Trump aided that perception by publicly encouraging Russia to find and release more of her emails. Clinton’s first encounters in Russian diplomacy began on much more hopeful note. Meeting Foreign Minister Sergey Lavrov in 2009, Clinton initiated the effort to repair years of bitter relations, punctuated by a Russian war with neighboring Georgia a year earlier. Offering a large red reset button, Clinton outlined a broad agenda of cooperation. The new policy paid dividends. But it was perhaps Clinton’s unlikeliest diplomatic breakthrough that began the downward spiral: Libya. Even before Putin’s first two terms as president, Russia had always opposed U.N. Security Council action that might lead to a leadership change. As America’s European allies sought a military intervention against Libyan dictator Moammar Gadhafi, Clinton played the role of skeptic, refusing to jump aboard. When she finally did, it proved critical in persuading Russia to abstain. The rebels overthrew Gadhafi five months later. Relations soured further by the end of the year as Putin won a new, six-year presidential term. Evidence of election fraud led to the largest protests since the collapse of the Soviet Union. Clinton issued a sharply worded statement; Putin accused Clinton of sending the “signal” to undermine his country. Returning as president in May 2012, Putin was immediately confronted with Syria’s Libya-like escalation from Arab Spring protests to full-scale civil war. He played his cards differently than Medvedev, hinting to Obama that he could drop his support for the Syrian leader while shielding Assad from any U.N. pressure or foreign action that might chase him from power. Seeking Russia’s cooperation, Obama and Clinton avoided any talk that might threaten Russian equities in Syria, including a large naval base there. Their message was clear: The U.S. wouldn’t try to pull a future post-Assad government out of Moscow’s orbit. Although Clinton claimed credit for the June 30, 2012, compromise in Geneva, it appeared to be Russia’s objective all along. Russia didn’t read the deal that way. Neither did Assad. And Assad is still president. The Geneva deal has had long-term repercussions. The U.S. and Russia both say it must be the basis of any settlement to the five-year civil war. But their interpretations still differ, contributing to a standstill that keeps Assad in power. At the time Clinton negotiated the Geneva deal, some 8,000 people had been killed in Syria. Since then, the death toll has risen to perhaps 500,000, leading to a million refugees and the rise of the Islamic State group. “I doubt they could have gotten more out of Russia,” said Robert Ford, who was U.S. ambassador to Syria at the time and is now a senior fellow at the Middle East Institute. Clinton’s deal could have proved viable, if backed up by American military pressure, he said. But Obama didn’t see it that way. “The tactics were not in sync with the strategy,” Ford said. Clinton, in any case, was mistaken if she believed Obama was prepared to act militarily in Syria. With her plan doomed to fail otherwise, she joined Defense Secretary Leon Panetta and CIA Director David Petraeus later that year in urging Obama to authorize military support for vetted, moderate rebels and U.S. enforcement of a no-fly zone over opposition-held areas of the country. Clinton has acknowledged her frustration with an increasingly hostile Russia on Syria and other matters as her time in office wound down. In her final months, Russia ordered the end of all U.S. Agency for International Development programs in the country. It approved a new law constraining the work of Russian and foreign non-governmental organizations. It banned U.S. adoptions of Russian children. In December 2012, Clinton accused Putin of trying to “re-Sovietize” its region. And just before leaving, she wrote a memo to Obama urging him to finally suspend a reset that ended once and for all with Russia’s military incursions in Ukraine and annexation of Crimea in 2014 — well after Clinton had left government. “Strength and resolve were the only language Putin would understand,” Clinton wrote in her book, published shortly afterward. It was a lesson she could say she learned firsthand.